An anime where the female MC lusts men more than they lust her? This is a once in a blue moon spectacle right here. This Sumire release of Shingeki no Bahamut: Virgin Soul includes the 5.1 channel surround sound audio from the BS-TBS television airing. The 2.0 channel stereo track has also been kept. The subtitle styling was inspired by eraser‘s release of season one. We’ll try our best to catch up to the TV airing… but in all honesty, we like to take our time with this stuff. Thank you Anime Land for the crisp surround sound audio. Man…. Thank you so much! I thought a 5.1 audio version wouldn’t exist like the first season!!! Does Amazon not do 5.1 audio? And AAC? Why not AC3? Thanks for watching our release! The surround sound audio is from a TV rip, not Amazon. The AAC codec is commonly seen on HDTV sources. I’m also not sure if Amazon does offer surround sound audio on their Prime videos. As for the stereo audio, that’s on HorribleSubs. IDK why they convert it from Amazon’s E-AC-3 either, but we’re not going to convert it back and lose quality for no reason. Try going on their site or IRC and asking them. I see! Thanks for the reply! Hopefully you guys catch up soon!! I need to watch the show in 5.1 audio!! What’s the point of reencoding HS, when that’s already encoded from Amazon? This isn’t CR, where HS would just be a rip of the video. 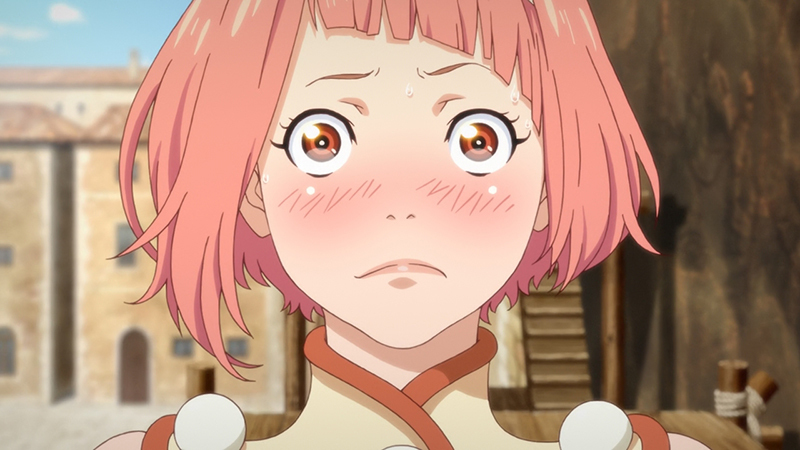 HorribleSubs’ release of Virgin Soul is also an untouched Amazon Prime rip. The only thing they did change was the audio, the video was kept as close to the source material as it could possibly be. I received this info from a few well known members of other fansub groups before I began my encode. I applied some filters to HorribleSubs’ 1080p video in order to remove banding, made the line-art look nicer, and downsized to 720p with a 4:4:4 chroma colorspace. Unfortunately, you are partially incorrect with your statement. If that’s the case, then my mistake. I didn’t realize Amazon’s encryption was broken again; I thought one could only do a lossless capture and reencode. I think it’s fortunate that I’m incorrect. I wish HS kept the encode information, though.